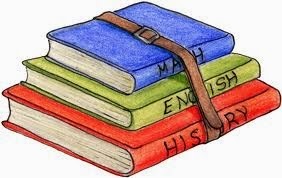 The Augusta County Library will host a three-part series on Genealogy Basics at 10 a.m. March 1, 8 and 15. Each week will focus on a different aspect of researching family history with presenters from the Augusta County Genealogical Society. First and last votes expected: 11:00 a.m. - 12:00 p.m. Governor Terry McAuliffe will be visiting Fishersville Saturday when he stops by Augusta Health Heart and Vascular Center to discuss closing the coverage Medicaid gap. The gap in health insurance coverage created by the Affordable Care Act has left thousands of people in our community without access to affordable coverage. The people who find themselves in this difficult situation aren’t looking for a handout. They are working people, but because Virginia hasn’t expanded Medicaid they make too much to qualify for the existing Medicaid program and too little to qualify for subsidies through the new federal exchange. This coverage gap is not only a source of hardship for our uninsured patients; it also puts an enormous financial strain on our hospital. The ACA eliminates $300 million a year in federal payments to Virginia hospitals to help us treat uninsured patients. Those cuts were supposed to be offset by Medicaid expansion, which would reduce the number of uninsured patients. But without Medicaid expansion or some alternative “Virginia way” of drawing down our federal tax dollars that we’ve already paid to cover the people in “the gap,” Augusta Health and hospitals around Virginia will continue to pay 100 percent of the cost to care for uninsured patients who come through our doors. That’s a huge financial burden for our hospital, and it will force us to rethink the services we provide to all of our patients – insured or otherwise. It also drives up the cost of care for everyone. Hospitals cannot wait two years for a legislative study on these reforms before expanding Medicaid. The damage to our financial health, the health of our community and the economy will be too great by then. There is no reason that we cannot continue to improve the system while we cover those who are now uninsured. Hospitals are treating uninsured patients right now; the financial strain is right now. We need to find a path forward this year to draw down some of the nearly $1 billion Virginia taxpayers already paid in Affordable Care Act taxes, fees and cuts. We need our legislators to understand the urgency of this issue. That message must get through. 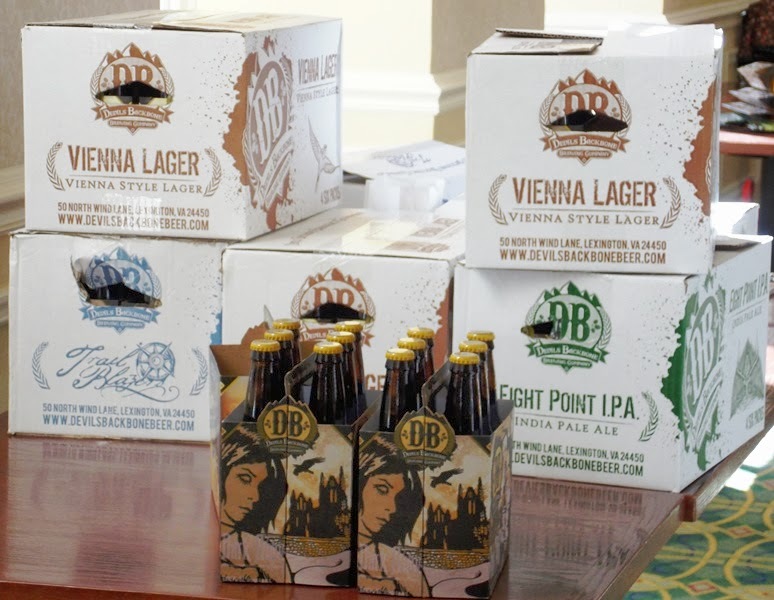 We know the Virginia General Assembly didn’t create this problem, but we are depending on them to find a solution, and we want to work with them without delay. As we've mentioned before, we're not against the idea of expanding the Medicaid program in Virginia. In Sunday's edition of the News Virginian, readers saw that Augusta Health alone spent $40 million over the last year, caring for the uninsured. If the bill was lower, Augusta Health officials indicated they wouldn't be as cautious in their own expansion plans. That would possibly translate into more jobs and a stronger local economy. Augusta County taxpayers would also see a benefit from Medicaid expansion, as we highlighted in that same article. Lower costs for emergency transportation means money that could be used elsewhere, possibly on needed school repairs. But there has to be a long range plan. Simply expanding Medicaid coverage helps now, with the federal government handling 100 percent of the bill. But three years from now, that drops down to 90 percent. Before we sign off on expanding Virginia's Medicaid system, we need to know how the state is going to plan for that. If McAuliffe plans to be in office for a second term, those expanded Medicaid costs will have to factor in his future budgets. Why not budget for them now and erase the uncertainty, before expanding the program? Simply approving expansion isn't an answer. It's a quick fix. Rather than changing the rules while the game's still being played, we suggest the governor slows down a bit and lets the General Assembly play out the second half. 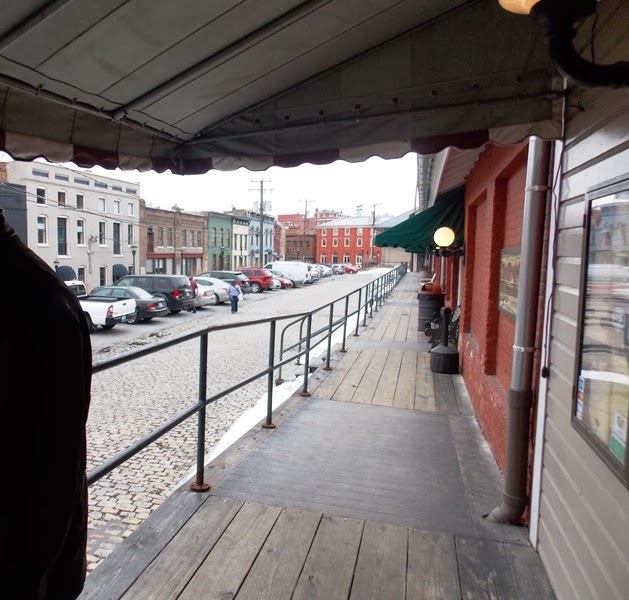 Even as the Governor travels the state to talk about Medicaid expansion, legislators in Richmond appear ready to battle it out, with the Richmond Times-Dispatch writing, "The battle of the budget ended Wednesday as it began: locked horns over Medicaid and expansion of health insurance coverage for the poor." Governor McAuliffe's visit is scheduled for 2:00 Saturday afternoon. As a member of the SWAC area homeschool support group for 10 years, I watched as other homeschoolers around the state started co-op groups and some eventually lost their support groups as a result. 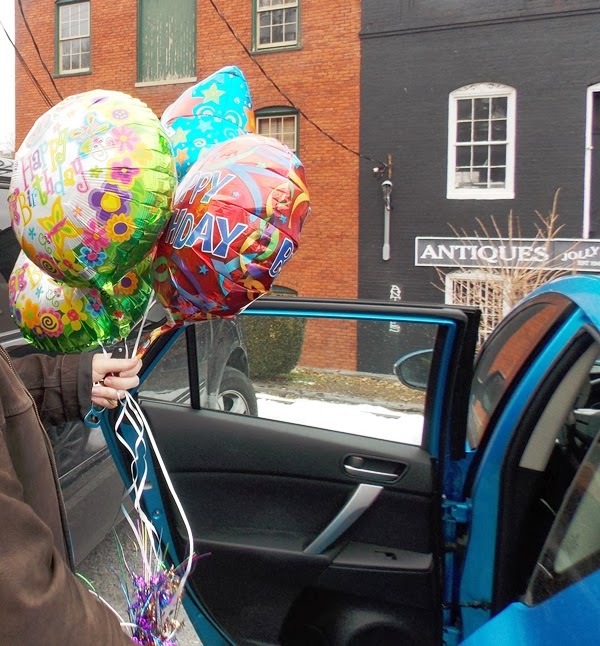 It was a concern at the time because each provided something different for the families involved. The other day, I received a phone call from a homeschool mom in Fluvanna County. She was inquiring about PEACH Skate and was anxious to be able to attend with her children. They had re-located from North Carolina several years prior and were still missing all the benefits of their support group back home. 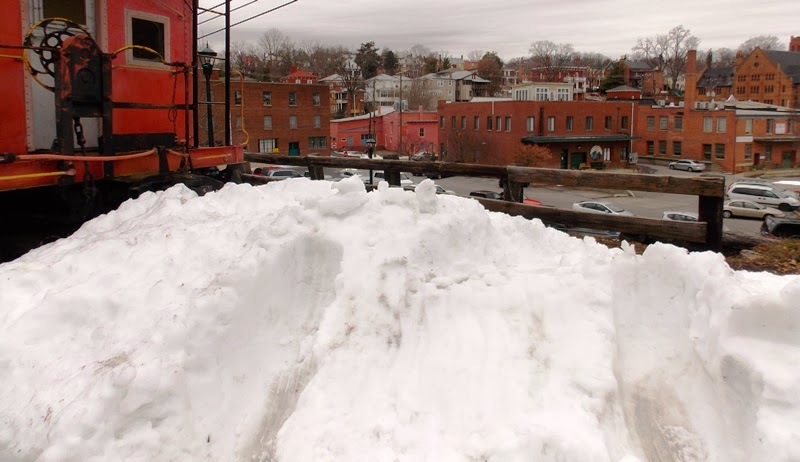 In the course of our conversation, not only did I learn that there is no skating rink in the Charlottesville area, but that it’s also lacking a homeschool support group. I was flabbergasted. After the initial shock, a mix of sympathy and gratefulness sprung up within me. Sympathy for the home educators of Charlottesville and surrounding counties and a sense of gratitude for what we’ve been blessed with here. I recalled what a former PEACH president, Lynn Mitchell, had passionately written about in her newsletter address to PEACH members more than once. She urged us all to support our support group and to not let our dedication be trumped by our participation in a co-op. The reasons are all still there why it is good to have support groups in addition to co-ops. While co-ops offer a structured learning environment, support groups provide a less-structured social network for parents and students. Many thanks to all the homeschool parents who volunteer their time for the good of the group. Without them nothing would run, nothing would be provided, nothing would be available. Without volunteers, PEACH would not exist. The homeschool community is a special group of friends and I thank them for inviting me to be their keynote speaker at the recent PEACH Senior Banquet. More about that in a follow-up post. 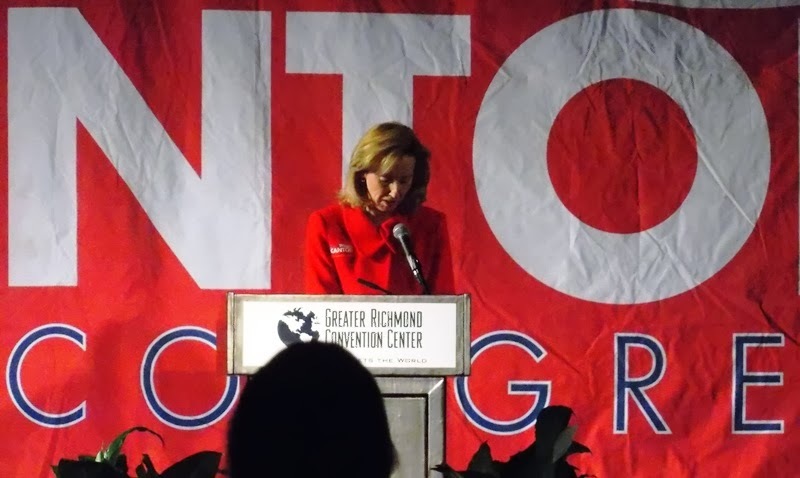 Facebook exploded Tuesday night after Bob FitzSimmonds, treasurer of the Republican Party of Virginia, made an improper comment on Facebook in remarks about the candidacy of Delegate Barbara Comstock who is running for the 10th District congressional seat being vacated by Rep. Frank Wolf. The impact of the word was immediately recognized by Republicans who decried its use. 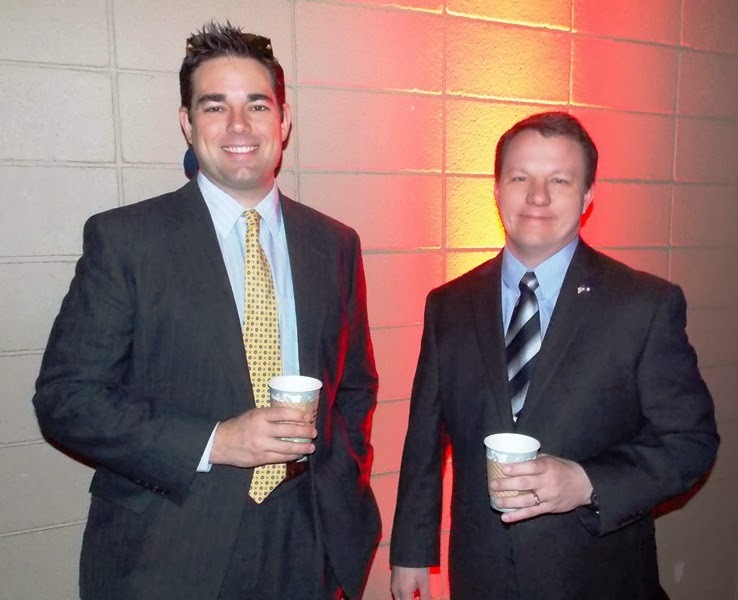 As the story grew and was picked up by mainstream news outlets, many Republicans called for FitzSimmonds' resignation. "The comments made recently by Bob FitzSimmonds are offensive and have no place in mainstream society or our political discourse. These comments are not representative of the House Republican Caucus or the Republican Party of Virginia. They do not reflect our values or principles and they are deeply inconsistent with the tone and tenor we believe is appropriate for public debate. Mr. FitzSimmonds should resign from his position as Treasurer of the Republican Party of Virginia and we call on him to do so immediately. "Having worked with Barbara Comstock for a number of years, we have tremendous respect for her and all that she has accomplished. 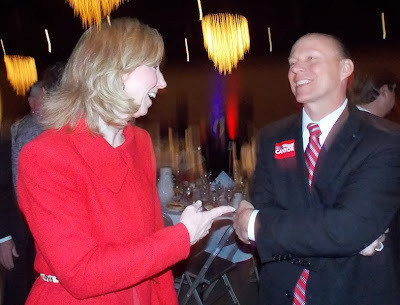 She has and will continue to be a tenacious fighter for Virginia women and families." 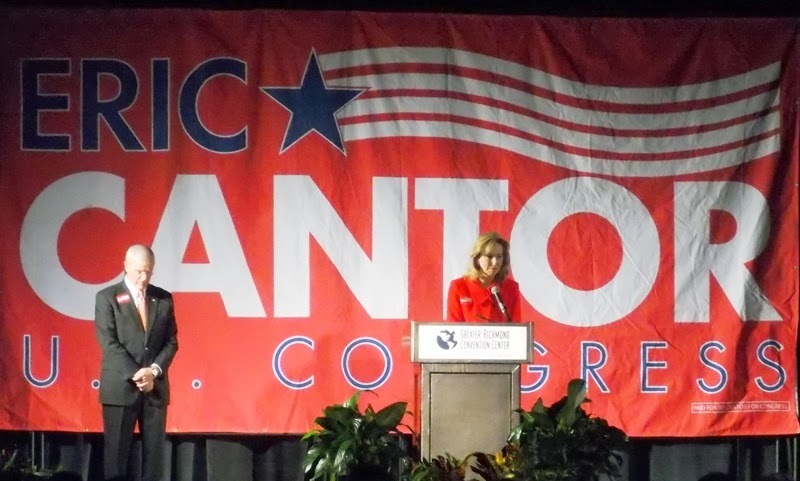 Delegate Barbara Comstock, who earlier on Tuesday had attended House Majority Leader Eric Cantor's breakfast in Richmond, is a very popular Republican leader who had received Congressman Paul Ryan's endorsement for her 10th Congressional District candidacy. 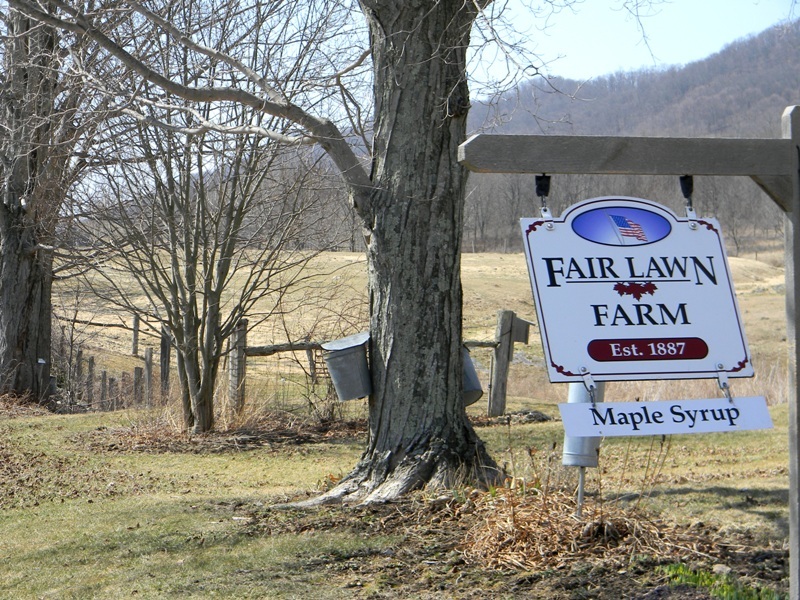 It is known as Virginia's Switzerland, this rural, mountainous, southern-most location for gathering maple syrup, and it is right here in our back yard. Just 45 miles west of Staunton, picturesque Highland County hosts its 56th annual Maple Festival during the weekends of March 8-9 and March 15-16. Make plans to meander back roads, stuff yourself on pancakes drenched with locally-harvested maple syrup, or fill up on mouth-watering maple chicken. Be entertained by local cloggers and bluegrass bands while enjoying the wildly-popular fresh maple donuts made by the local Ruritans. Stroll the main street of Monterey, population 150, to check out the many vendors peddling crafts, maple products, and Kettle Korn. 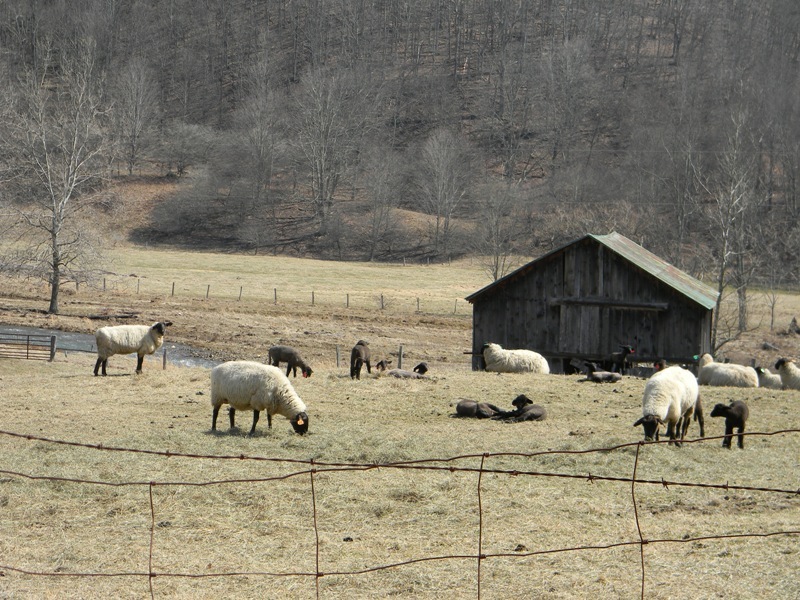 Take in the beauty of this rural setting populated with sheep and cattle. Relax. Slow down. Breathe the cold, fresh mountain air. Highland County's high elevations and abundance of sugar maple trees, along with the cold nights and warm days of March, make the perfect combination for maple sugaring. Be sure to carry a coat and gloves because it is still winter in the mountains. Duff's on the snowy first weekend of 2013's festival. 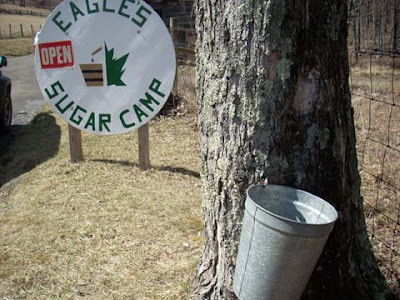 Although there are a number of sugar camps in Highland, one of my favorites is Eagle's Camp located in Doe Hill. For those who want to avoid the crowded streets of McDowell and Monterey, Eagle's is easily accessible. 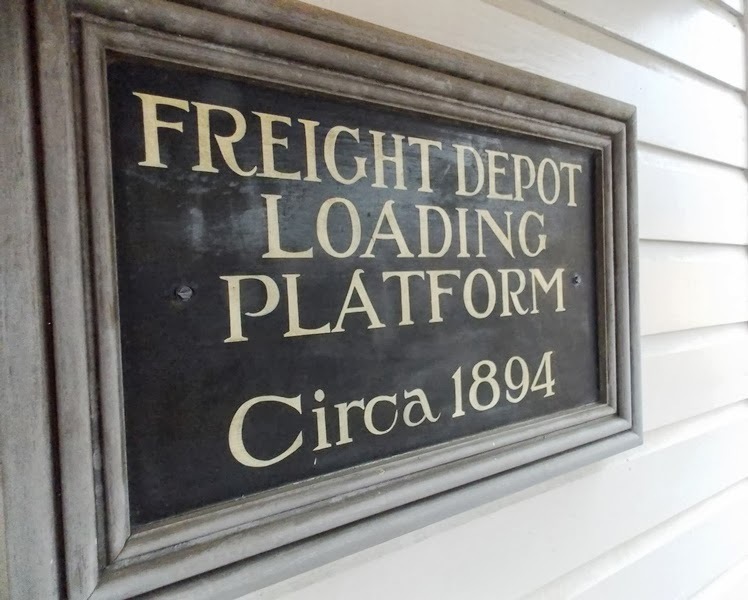 Nestled in the woods on a mountain slope, this family-owned operation has been in business for 200 years. 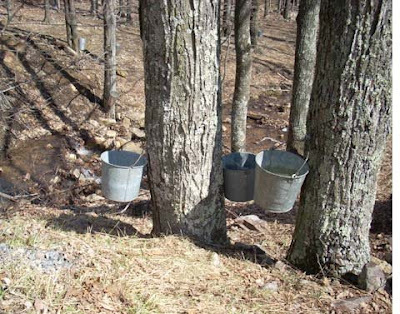 The family members who run it still gather sugar water the old-fashioned way ... by tapping trees and attaching buckets ... while also using updated methods. 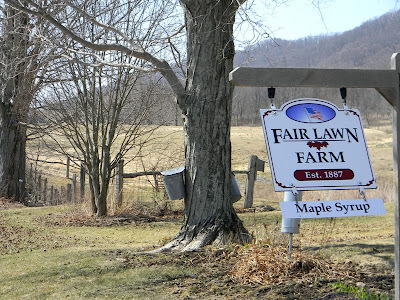 Fair Lawn Farm, home of Duff's Sugar House. 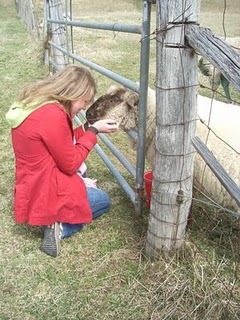 Another favorite is Tim Duff at Duff's Sugar House at Fair Lawn Farm south of Monterey. 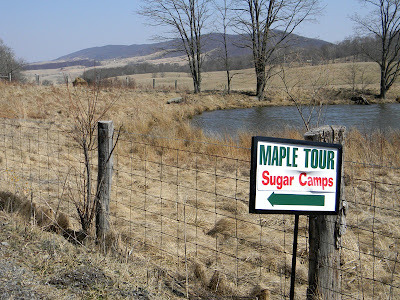 Duff, a 20-year U.S. Coast Guard veteran and Highland sheriff, is happy to explain the old ways of maple sugaring that he keeps alive complete with authentic equipment and acres of land covered in sugar maple trees. This outgoing, friendly man smiles and enthusiastically welcomes visitors into the sugaring shed where he encourages hands-on participation and seems to enjoy the curiosity of visitors who are genuinely interested in what he is doing. 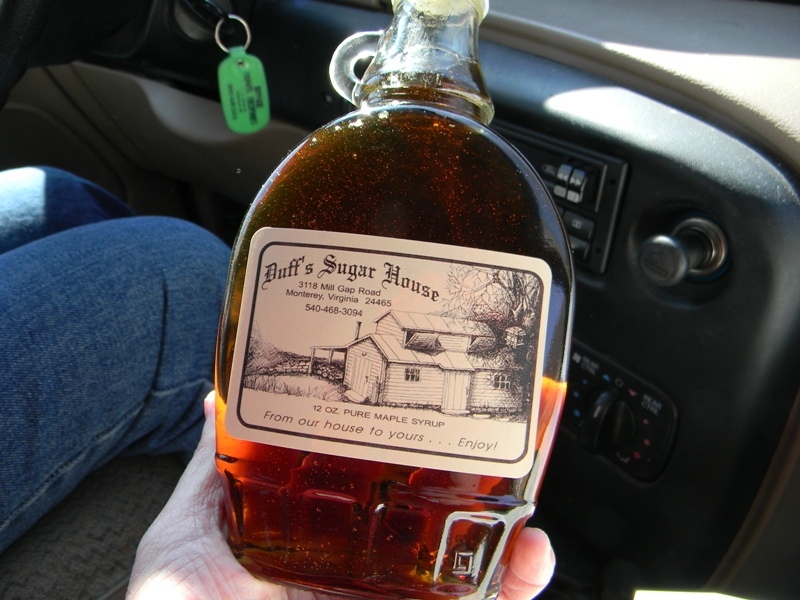 Almost heaven ... Duff's pure maple syrup. Some wonder why Duff works so hard when others are using newer, faster methods. He smiles and responds that the syrup tastes better and is pure. Because he cannot make the product quantities of those using more sophisticated methods, his syrup and maple products are in demand and sell out quickly each day of the festival. On previous visits when we stopped by he had just sold his last pint but had samples available to show the good taste. In 2011, however, we got there early enough to buy some of the best pure maple syrup you will ever pour on a pancake. 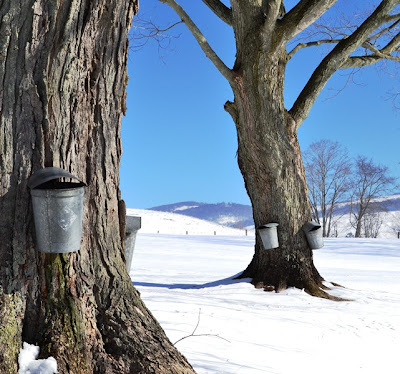 Rob Hedelt with Fredericksburg.com has a good article about Duff and the process of sugaring the old-fashioned way. 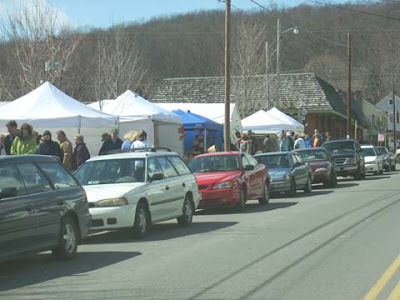 Monterey's Main Street is lined with vendors during the Maple Festival. Held every year on the second and third weekends in March, it's easy to find your way around the festival, and people are eager to help if you get lost. The Highland Chamber of Commerce has lots of helpful information and maps of the area are readily available by downloading or at locations in Highland. 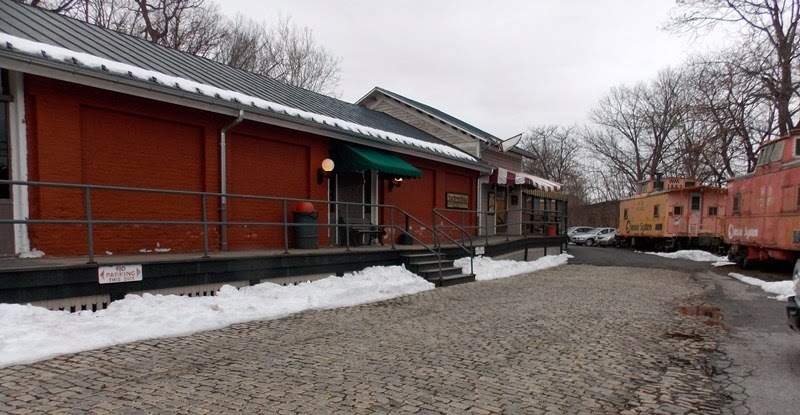 For a fun weekend, be sure to wear your walking shoes and warm clothes, and you will find that a trip to the Highland Maple Festival will be an experience you will never forget. On Thursday, the House will meet at 10:00 a.m. for morning hour and 12:00 p.m. for legislative business. First votes expected: 1:30 - 2:30 p.m. Last votes expected: 5:30 - 6:30 p.m. 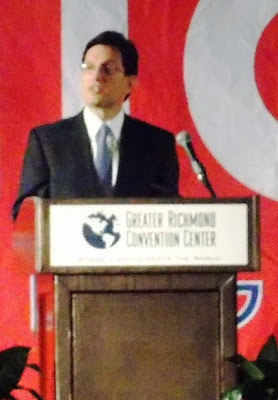 Congressman and House Majority Leader Eric Cantor at Tuesday's annual breakfast where he hosted 1,700 attendees in an exhibition hall at the Richmond Center. The popular breakfast, a who's who of Virginia Republicans and the third largest Republican event in the Commonwealth, has grown in size over the years and will no longer fit in the ballrooms. 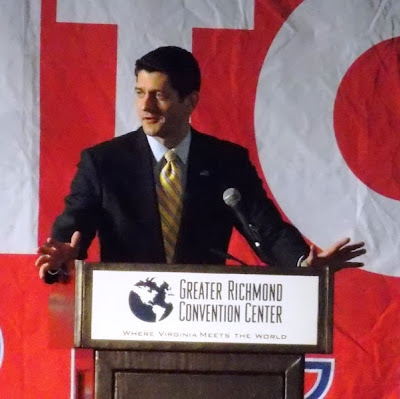 The only two events larger are the Republican Convention and Eric Cantor's annual Republican Roundup held each fall in Henrico. 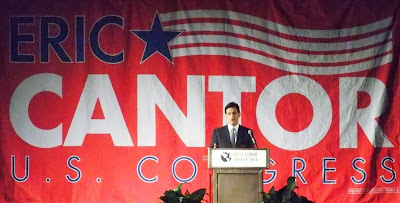 Congressman Cantor was joined by another of the GOP's Young Guns, Congressman Paul Ryan, who brought his conservative ideas to breakfast. The Congressional Young Guns -- Cantor, Ryan, and Kevin McCarthy -- came together in 2000 to help recruit and pull in new candidates and people to bring in fresh ideas. Those candidates believed in a small federal government, economic freedom, encouraging small business without additional government oversight, individual freedom -- supporting Americans as they pursue and build their dreams -- with common sense solutions to America's problems. Campaigning and working hard, 62 of their Young Gun recruits won seats in the House, flipping it to a Republican majority. Congressman Paul Ryan, Chairman of the House Budget Committee, joked, "The 2012 election didn't go quite as we planned," to laughter from the crowd. He went on to say that Republicans cannot just be the party of "no" ... they have to be the party of new ideas and ways to implement those ideas. Republicans, he said, need to show they belong in leadership. He noted that, while Obamacare is not the answer to the nation's health woes, the GOP has an alternative that would prove to be more affordable. In a nod to the Commonwealth, Ryan said, "A Virginian gave us the Declaration of Independence ... that has made us the most free society on earth." 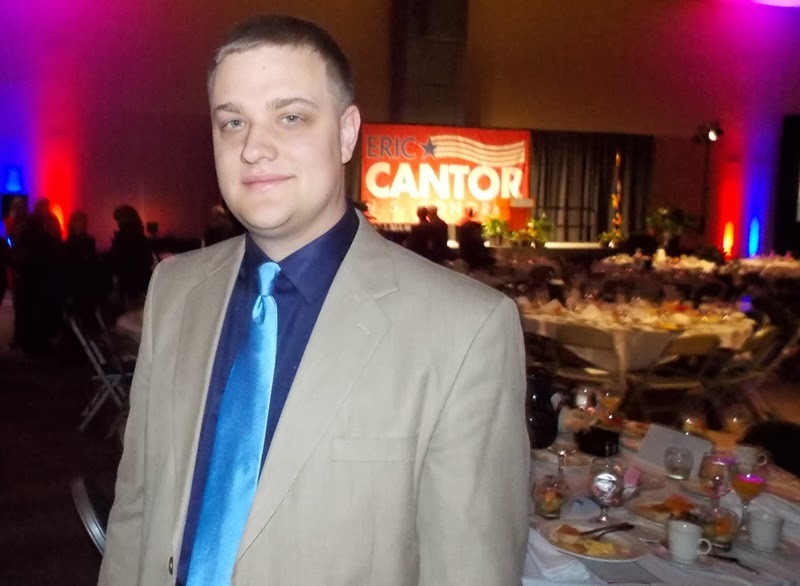 Ryan was complimentary of Cantor. 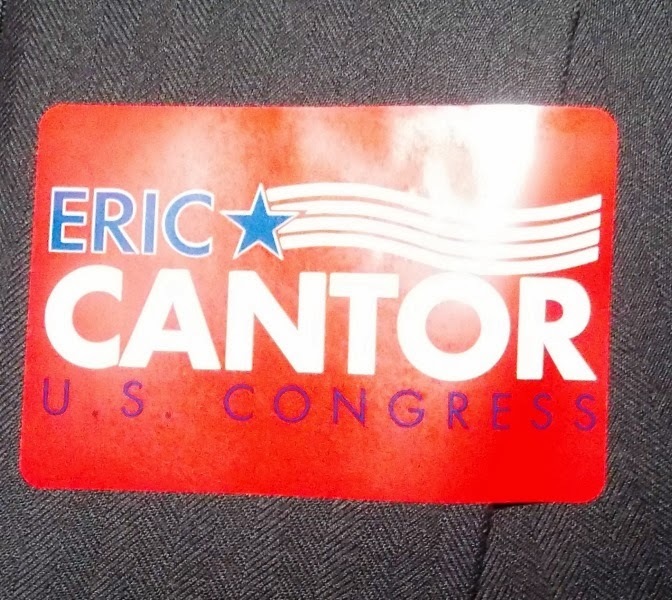 "Eric Cantor is more than just your Congressman," he said. "He's a conservative who knows how to lead. It's easy to be a sayer ... it's harder to be a do-er. He's a do-er who can actually move our country forward. Eric Cantor is an effective conservative. He's such an effective conservative that 233 people in congress unanimously reelected him to be Majority Leader in Congress. We know his principles. He's smart and can get things done." 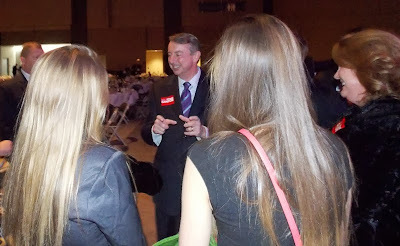 Quite an endorsement from a fellow congressman, and quite a compliment for Virginia. Linwood Cobb, Chairman of the 7th Congressional District, opened the event, welcomed everyone, and introduced his friend, Congressman Cantor. 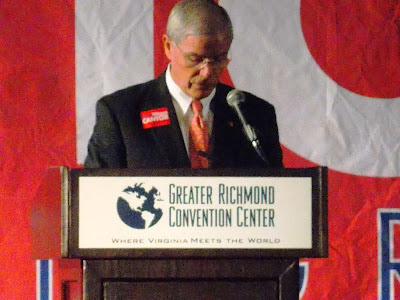 Linwood, one of the most successful Republican Congressional District chairmen in Virginia, is running for re-election at the 7th District Convention on May 10, 2014. 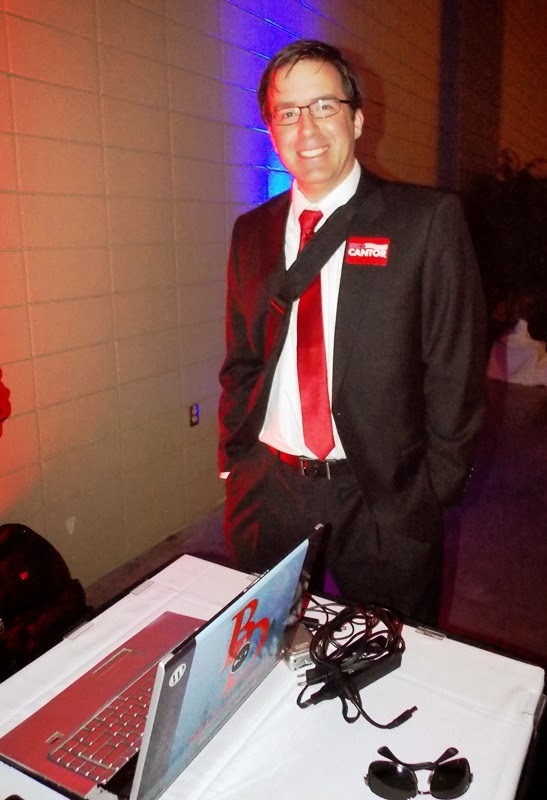 I would urge those in the 7th to become a delegate to support Linwood who is a proven fund raiser, organizer, and works extremely hard for the Republican Party. He does what many cannot -- he has candidates who WIN. Delegate Barbara Comstock, candidate for the 10th Congressional District, offered the invocation. Linwood with former Lieutenant Governor John Hager. The Virginia College Republicans were there including Kelly Myers and Matt Wertman. There was also a large group of students from Henrico's Deep Run High School. Jason and Jim hard at work. 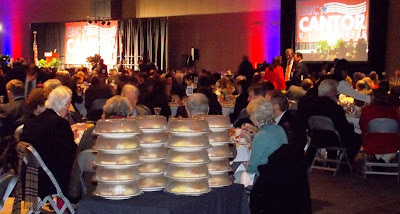 Plates of hearty breakfast foods were wheeled out while waiting for Eric Cantor and Paul Ryan to speak. Aaron Gulbransen of Cigar Association of Virginia fame. 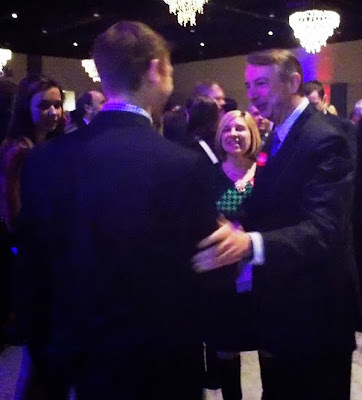 Ed Gillespie was surrounded by enthusiastic supporters after festivities wrapped up. Mr. Gillespie is running for the Republican nomination to take on U.S. Senator Mark Warner in November. Delegate Comstock was also surrounded as she greeted those in the crowd after breakfast. Mike Thomas, Linwood, former Lt. Governor John Hager (Milas granddad!). Linwood, Judi Lynch, John Hager, and friends. Jon Comer, chairman of the Page County Republicans. 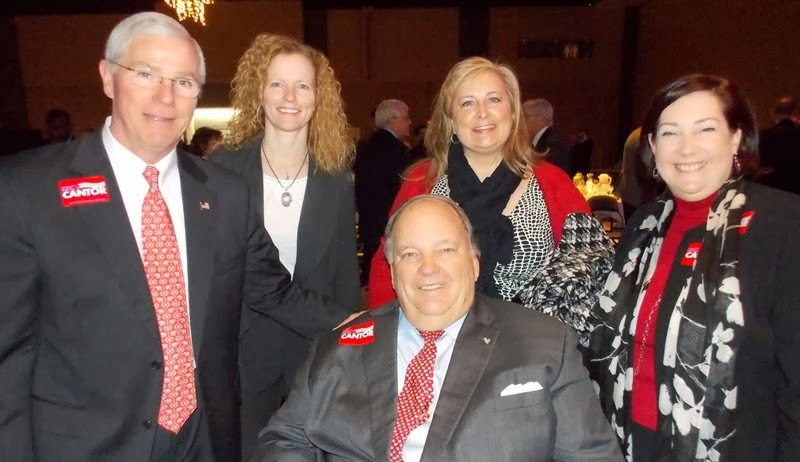 There were many familiar faces including Kristi Way, Judi Lynch, Mike Wade, Melissa Nelson, Marie Quinn, and a number of elected officials in town for the 2014 General Assembly session. More than 80 businesses sponsored tables including some of the most recognizable names in Richmond and the Commonwealth. 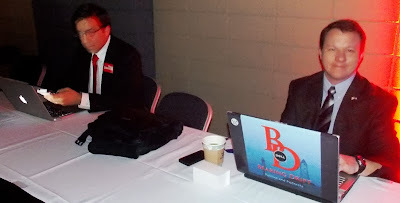 Media was represented as well as bloggers Jason Kenney, Jim Hoeft, Flint Engleman, and myself. On Tuesday, the House will meet at noon for morning hour and 2:00 p.m. for legislative business. The Right has also grossly misunderstood the role of media in a political system. Too often the conservative response to media bias has been to create niche outlets that are not mainstream, i.e. made for the tiny number of people who are right-wing political junkies. We need a true diversity of voices in the media and that process works in both directions. 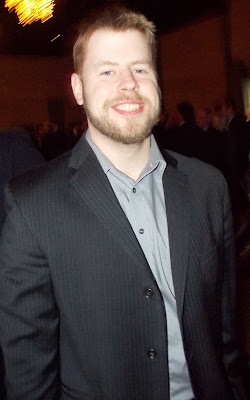 I waded into the blogosphere in 2006 and, yes, it has changed considerably. Keep an eye out for Matt's new ventures. With the completion of the 2014 Winter Olympic Games, America says thank you to Team USA. Thanks for the hours of training, dedication, and sacrifice. Great job ... we salute you. To the best fans in the world: Thank you. You lifted us up, cheered us on, and showed the world what it means to wear the red, white, and blue. As the Sochi Games come to a close, let's join together for one more cheer—for our athletes and for every member of the Team Behind the Team. House Majority Leader Eric Cantor (R-VA) appeared on CNN's "Out Front" last week to discuss the need for an America that leads with host Erin Burnett. The appearance, live from Lexington, Virginia, followed Congressman Cantor's major national security speech at Virginia Military Institute. Dingell, 88, has been in Congress since 1955 and is the longest-serving member in congressional history. The former chairman of the powerful House Energy & Commerce committee cited both health concerns and a frustration with Congress in his decision to retire. "I find serving in the House to be obnoxious," he continued. "It's become very hard because of the acrimony and bitterness, both in Congress and in the streets." 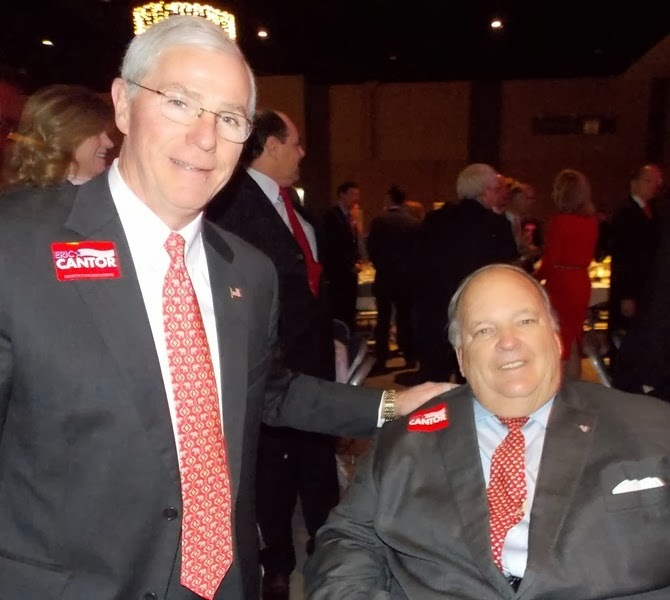 The longtime congressman, known for his forceful personality, has for decades been a fierce ally of Michigan's auto industry. He has often worked across the aisle with Republicans on legislation, creating friction with liberal House Democrats on environmental issues. One of only two World War II veterans still serving in Congress, Dingell's seat is not expected to leave Democratic ranks. My Grayson County cousin brought my attention to an article in Sunday's Roanoke Times about talented musician and craftsman Wayne Henderson. A successful singer, songwriter, musician, and maker of Henderson guitars, he never forgot where he came from and still lives in Grayson. As she was starting a career in environmental law, Jayne Henderson struck upon what seemed a good idea for paying off some of her law-school loans: She would ask her father to build one of his highly coveted guitars that she could, in turn, sell. Her father, Wayne Henderson, had an even better idea. So, under his guidance, she did. She wound up with an extremely well-made guitar and a personal discovery about the process. 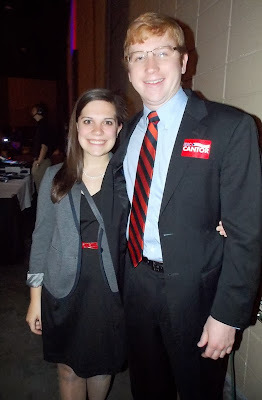 “It turns out, I loved it more than environmental law,” she said. Good to know the tradition will continue on for years to come. The "s" word is back in the forecast after a respite of 60-degree days that have many dreaming of an early spring. 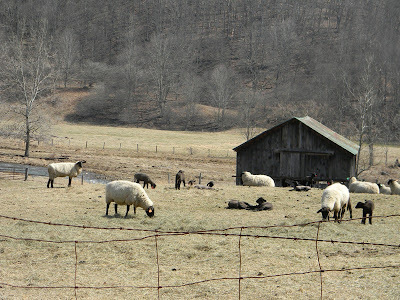 However, the safe frost date in the Shenandoah Valley is May 15 so it's too soon to get up hopes of warm days and spring rains. 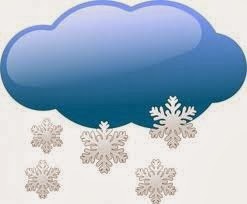 There are actually three separate storms that could bring some amount of snow for the Valley. Check updates from NBC-29, WHSV TV-3, and WxRisk.com. Today is the anniversary of an historic day in the annals of American history. The raising of the flag on Iwo Jima is one of the most iconic images to ever represent the American struggle for democracy and freedom in the world. The image is as recognizably American as the Statue of Liberty and Mount Rushmore. By the morning of February 23rd, 1945, the battle of Iwo Jima had already been underway for several days. The 2nd Battalion, 28th Marines battled to the top of Mount Suribachi, a huge volcanic mountain that overlooks the rest of the island. As you may have seen in the film, "Flags of Our Fathers," directed by Clint Eastwood, the first flag raised over Iwo Jima was a small one crudely tied to a metal pole salvaged from wreckage found on top of Mount Suribachi. The second, larger flag, raised on a better-suited flagpole, is what we recognize today as the famous depiction of the 4 Marines atop the mountain. The dramatic photograph was taken on February 23, 1945 by Joe Rosenthal an Associated Press photographer shadowing US Marines in the Pacific. It won him a Pulitzer Prize and went down in history as the inspiration for the USMC Memorial, various stamps, posters, and other timeless depictions of the Battle of Iwo Jima. Please use this anniversary to honor the memory of all veterans who have served their country in wartime throughout the years. We owe everything we have today to the service and sacrifices of our veterans, especially those who served in our most recent Iraq and Afghanistan wars. Move America Forward helps our active military. 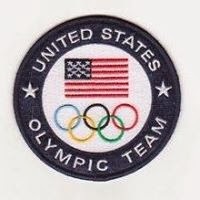 Please make all checks payable to "Move America Forward"
Did you see the ESPN article by Jim Caple, "Team USA Disappoints in Sochi"? It basically bashed the American athletes for winning less medals than four years ago and was all-around rude toward American Olympians. What the hell? Don't get me wrong, I like winning as much as anyone, but there is no way these Olympics can be called 'disappointing' for the US. Sure, we didn't win as many medals as Vancouver, but that was a RECORD SETTING PERFORMANCE in Vancouver. We have the second most medals this go around, behind only Russia, the host nation. Yes, the men's hockey team floundered at the wrong time, Shaun White failed to medal for the first time ever, and the speed skating team consistently under performed. But Meryl Davis and Charlie White won the first gold for the US in ice dancing EVER. Mikaela Shiffrin won a gold in slalom at the age of 18. Erin Hamlin got the US's first ever medal - men's or women's - in luge. So screw you, Jim Caple and every other reporter calling Team USA a disappointment. I'm proud of our athletes. Well said. All I can add is great Olympics, Team USA. Thanks for the memories. 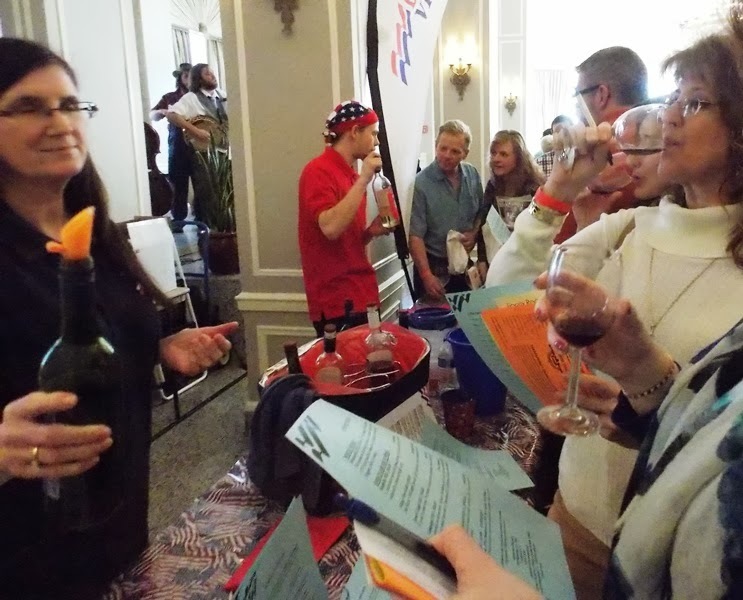 Wine lovers from near and far attended Saturday's Winter Wine Festival at the Stonewall Jackson Hotel and Convention Center from noon until 6:00 p.m. in downtown Staunton. 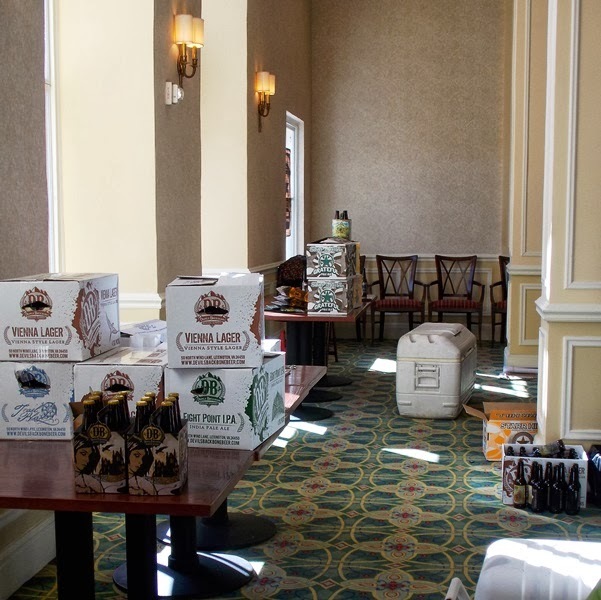 Hosted by the Historic Staunton Foundation, the event drew hundreds of participants and featured a dozen or more local wineries, two breweries, and two cider mills. The Stonewall's ballrooms as well as Sorrell's Lounge were all packed to capacity as attendees tasted and sipped the offerings. After tasting, glasses of wine were available for $5 and bottles were available for sale. Four friends and I met in the Stonewall's lobby and began our adventure by first filling out the door prize stub and dropping it in a silver bowl, then we took our snowflake-embossed wine glasses in search of friends John and Susan Kiers and their Ox-Eye Vineyards table. Ox-Eye owner John Kiers was pouring as he described the various selections. White Ox continues to be my favorite followed closely by their Riesling. Ox-Eye has garnered many reviews. 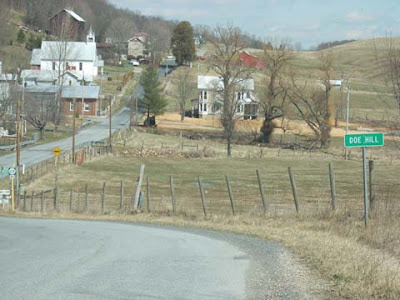 In 2013, Dave McIntyre, wine editor with the Washington Post, included Ox-Eye Vineyard in his list of Top 10 Mid-Atlantic wineries worth exploring, noting, "Southwest of Staunton, also at about 1,800 feet elevation, this vineyard is producing notable Riesling, pinot noir and lemberger, from an Austrian grape also known as blaufrankisch." 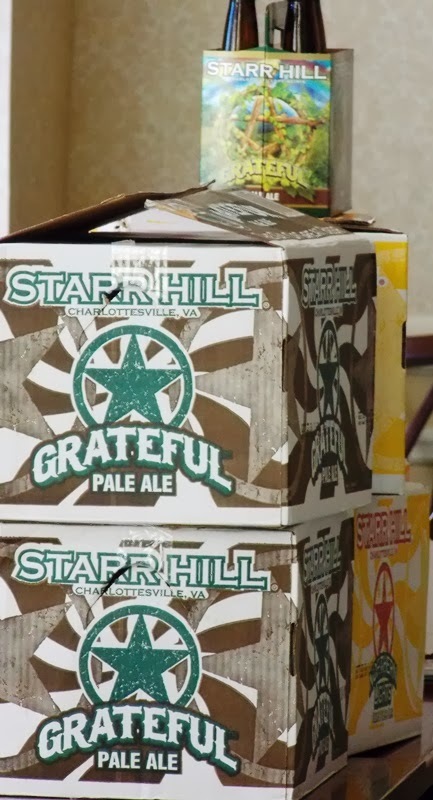 Beer lovers were in luck with the presence of popular Virginia breweries Devil's Backbone in Nellysford and Starr Hill located in Crozet. Hard cider was available from Bold Rock out of Nellysford and Foggy Ridge near Hillsville. Thought not much of a hard cider drinker, Foggy Ridge's Pippin Gold was very good, described as "a unique blend of 100% Newtown Pippin hard cider and apple brandy from Laird and Company, the country's oldest distiller. Pippin Gold is delicious as a dessert cider or sweet aperitif." All five of us were pleased with the Pippin Gold. The pourers for Democracy Vineyards out of Lovingston were decked out in red, white, and blue with patriotic accents that included the table covering the wine labels. My favorite of their selections was the Republic 2012 described as "a sweet white wine with opening aromas of citrus and a tropical finish. The sweetness is balanced by a natural bright acidity." Cocoa Mill Chocolatiers had a table set up with a wide variety of their chocolates including samples. Needless to say, they were a popular spot. 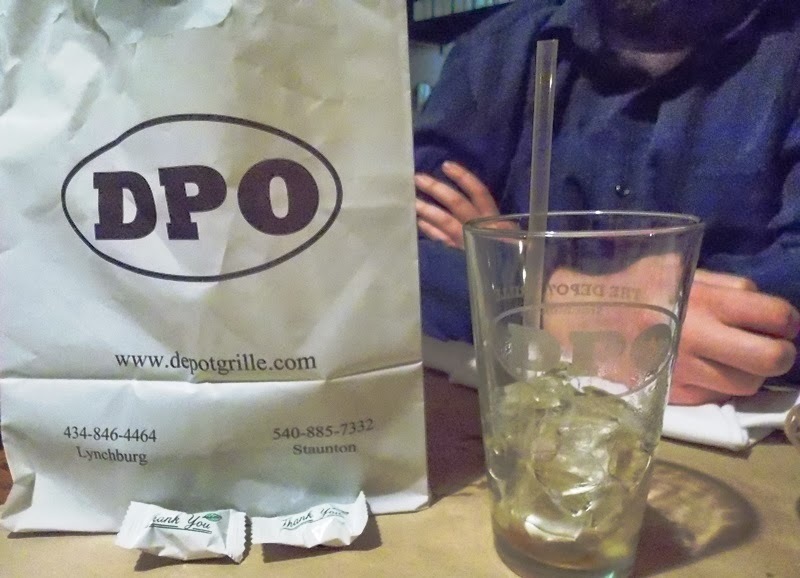 Located in Lexington and Staunton, I was introduced to them by Barb not long after they located on Beverley Street. 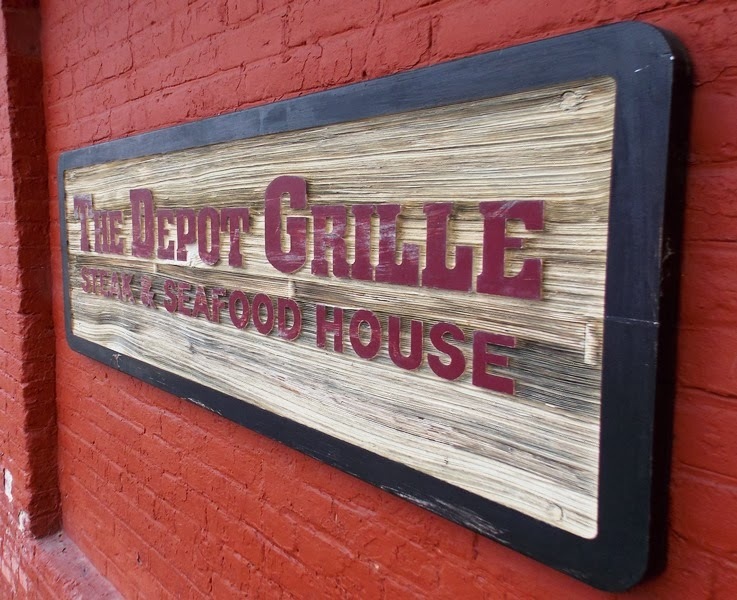 It continues to be a popular stop while out and about. Dark chocolate, milk chocolate, nuts, fruits ... Cocoa Mill had it all. Beliveau Estate Winery outside Blacksburg has been voted 2013 Silver Best Winery by the readers of Blue Ridge Country magazine, covering the mountain regions of nine southern states. Their very luscious white wine was Lovers Quest, described as a "semi-sweet Vidal Blanc, not too dry, not too sweet." It was fabulous. 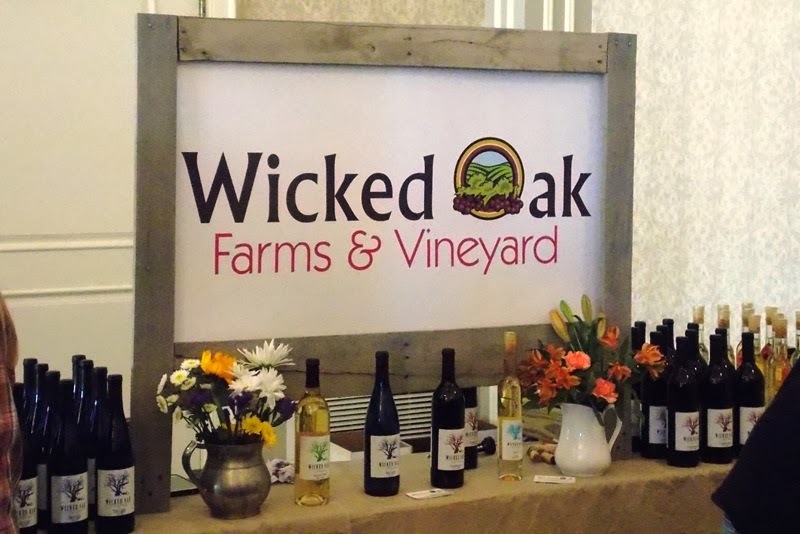 Rockbridge Vineyard located south of Staunton was offering their line of fine wines including their Tuscarora White, described as a "crisp, zingy Vidal Blanc," and their Riesling with its "slightly sweet, spicy taste." I was persuaded by my friend to try the red Meritage, a blend of Cabernet Sauvignon, Cabernet Franc, Malbec, Merlot, and Petit Verdot," but it wasn't convincing enough to convert me to a red wine lover. Rockbridge was also pouring a Cabernet sauvignon from their neighbors, Jump Mountain Vineyard, a small family-owned winery west of Lexington. The 2011 Jump Mountain Vineyard Cabernet sauvignon, their first vintage, is described as "made from 100% Cabernet sauvignon grapes grown and processed on the property. Fruit forward, with strawberry and raspberry notes, this is a light-bodied cab that can be enjoyed young." A 2014 vintage will be released this summer. As much as I love chocolate, I discovered that Mattaponi Winery's Pow Wow, a chocolate strawberry wine, was not my cup of tea. However, their Wabamin-Niagara, described as "like eating grapes off the vine," was a nice white wine. Spotsylvania County's Mattaponi Winery, self-described as a Native-American Indian winery, specializes in award-winning berry-infused wines using flavors of blueberries, strawberries, concord grapes, and more. Included with the price of admission was a snack bag that included cheese and crackers, a mini loaf of French bread, and an apple. Other food offerings were available for those who wanted a bit more than a snack. Entertainment was provided by Hound Dog Hill, a bluegrass band that had feet tapping and hips swaying in one ballroom while a James Taylor-sounding musician entertained in the other. 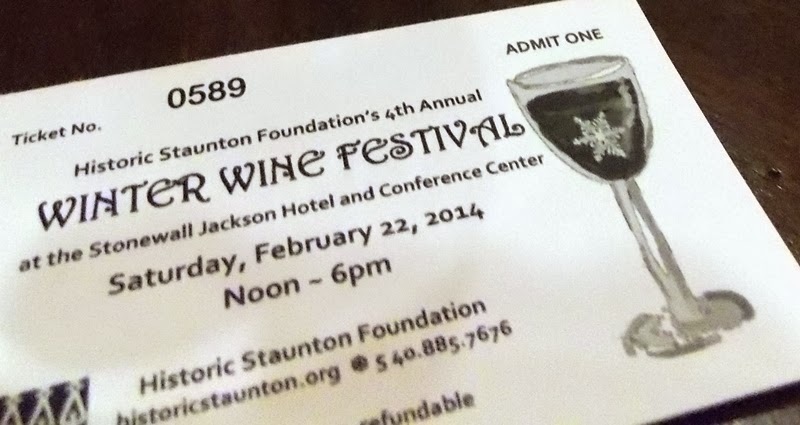 I don't know who did the Historic Staunton Foundation's graphics but I like not only the wine glass illustration but the font used for the "Winter Wine Festival" signage. Kudos for an all-around great event. 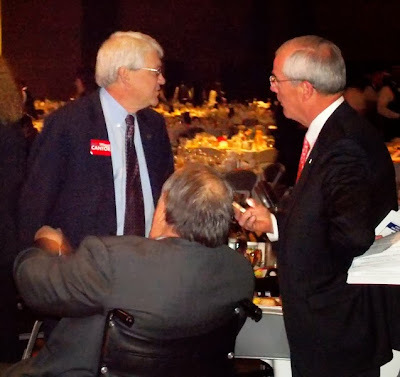 Will Bob Marshall jump into congressional race? How could someone abandon an infant in the woods?